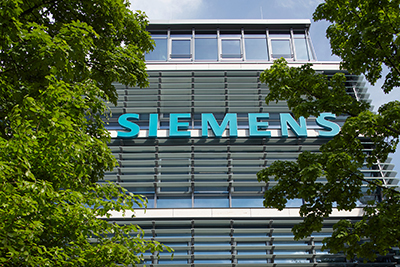 Siemens, and three Department of Energy (DOE) national laboratories are teaming up to conduct integrated experiments to test and validate software and hardware technologies for the electric grid. A Memorandum of Understanding (MOU) to the effect, was signed by Siemens Corporate Technology, the company’s central research and development unit located in Princeton, NJ, and DOE’s National Renewable Energy Laboratory in Golden, CO; Oak Ridge National Laboratory in Oak Ridge, TN; and the Pacific Northwest National Laboratory in Richland, WA. The MOU establishes a framework for research scientists to share information and resources, and to collaborate on technologies, including smart inverters for solar panels, batteries, and electrical vehicles.